Icinga is a free, enterprise monitoring system that lets you watch the uptime and performance of your important IT infrastructure like computer systems, networks, storage devices etc. 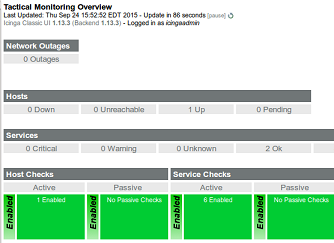 It is an enterprise ready monitoring system, provides almost similar look and feel as Nagios and is highly extensible. You can tailor it to your needs and it helps you keep your IT infrastructure up and running. It can monitor unlimited number of systems and notifies you with alerts as soon as any critical system or service is down. It is very helpful in ensuring that your critical applications keep running 24/7. Let’s see how to install it on Ubuntu Linux 15.04 operating system. 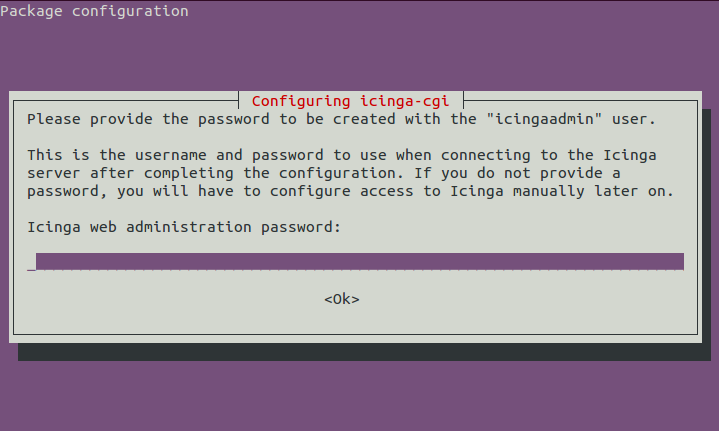 Good news is that Icinga has been added to PPA repositories, launch your system terminal and run following command to add its PPA to your ubuntu system package manager. Run following command to update your system’s APT repositories. During the installation process, it will launch a configuration wizard, specify the password for “icingaadmin” user on the very first step. This is the user you will use to login to your Icinga installation’s web interface. If you want icinga to use external commands, choose “Yes” from here. Sit back and relax, it should take couple of minutes to complete the installation process, as soon as the installation process is complete, load your browser and launch https://localhost/icinga to bring up icinga web interface, it will ask you for administrator user’s login details, use “icingaadmin” as username and the password you set during the installation. There you go, here is your monitoring system, start using it to ensure maximum possible uptime for your systems/services. Nagios plugins and scripts are highly compatible with Icinga, so in this way you can easily extend the capabilities of your Icinga instance. It has an excellent reporting system and lets you view the performance and availability of your systems in a very detailed manner. Try it out today, you will enjoy using it.